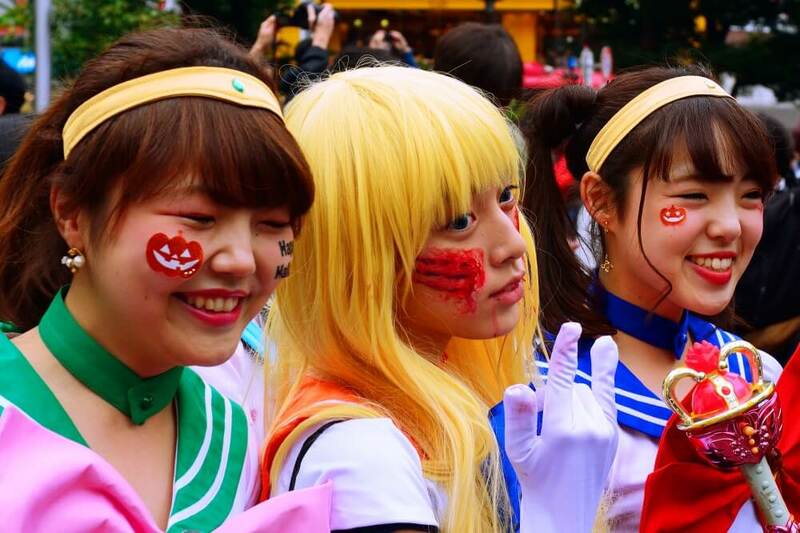 Japan's biggest Halloween party just keeps getting better! Where Can I find the party? Halloween falls on Wednesday, October 31st, 2018. 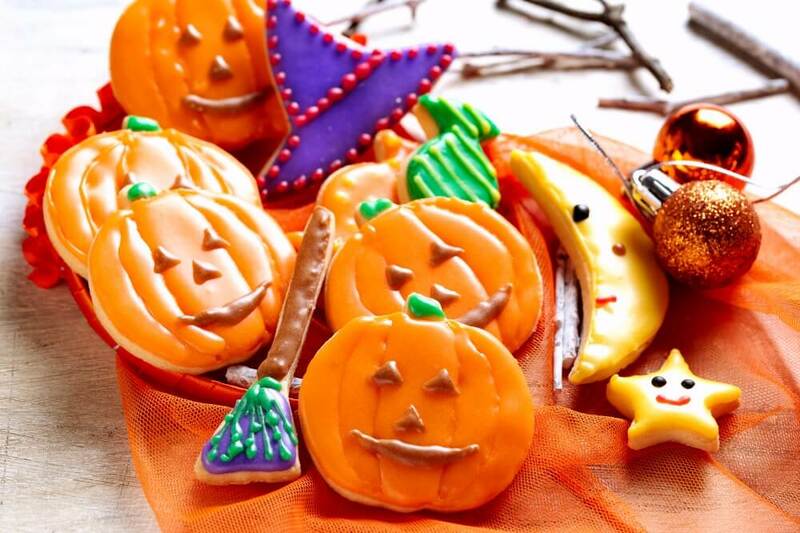 This usually means that Halloween will begin to be celebrated the Saturday before (the 27th) though in recent years there are also many revellers on the actual date 10/31. Halloween has grown more popular within the last five years spurred on by three specific influences: amusement parks, cosplay culture, and children learning English. Times are changing and in 2018, there is only one place to truly celebrate— Shibuya. Over one-million people dressed up and walked the streets last year. We can expect 2018 to be even bigger! Where can I find my costume in Japan? What time should I arrive and where can I take the best spooky-selfie? There is no specific time set for Halloween. 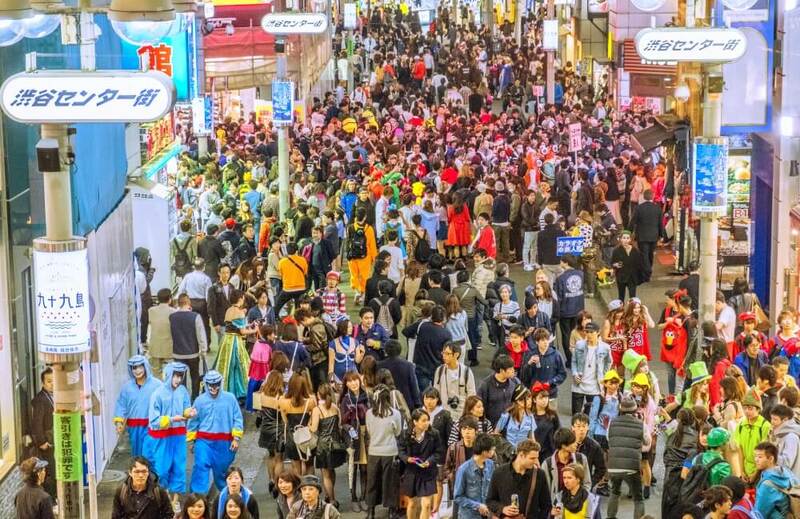 You can hop out of Shibuya station at any time from early afternoon where you are likely to see more kids and families and through early evening and be thrust into a magnitude of people wearing costumes. Taking a photo in front of the Shibuya crossing is always an iconic move; however, the streets are so crowded with people on this specific day that you can’t even see the zebra lines. If you want a great selfie, we recommend: Starbucks, La’Occitane Café, Gusto Café, Shibuya Mark City (free admission). For another amazing photo spot, be sure to head up into the MAGNET building on the crossing. You will find tasty food and fun shops but the highlight is the rooftop overlook that gives you the best views of Shibuya Crossing. There is an admission fee for the best overlook — but the view is well worth the 500 yen! After the Party! Where to stay in Shibuya? Don’t forget that trains stop running around midnight. If you have missed the last train already, it will be almost impossible to find an accommodation before the trains start running again. A lot of people like to stay at Manga/Internet cafes because of the amazing prices and easy access as they can be found virtually everywhere. The only problem is that you can’t always secure a spot at the last minute. We recommend checking online for some that allow you to make a reservation. If you would rather splurge on a hotel, then you will most definitely have to book in advance. A really good hotel to stay at is Excel hotel because it provides an amazing view of the crossing. Be warned that unless you have a reservation— you will be turned away. Shibuya 109 is known for getting into the spirit of Halloween. They have a pop-up costume shop, cafes with Halloween themed treats, and even put on events for the big night involving a DJ and mini-photo shoot! Follow the road to 109 Men’s and you will find makeup artists who will give you a gruesome face/wounds to add some zest to your costume. Make sure to look around carefully, not only at the people, but also the shops.You will find many cute cafes with themed desserts. There are also tiny haunted houses that you can walk through sometimes; although the locations are subject to change each year. Make sure to check before you go! 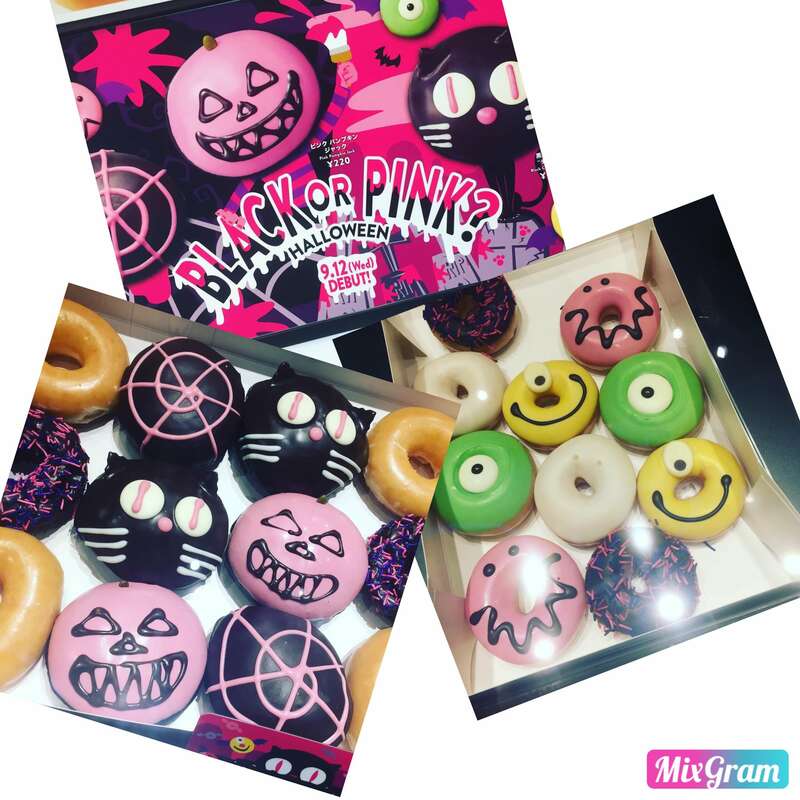 Head over to Krispy Kreme across the street from 109 for their “PINK AND BLACK” scary themed donuts this year too! The event has no official date or time. It tends to happen a few hours before the clubs get busy. It’s usually on Halloween but tends to correlate with events at clubs. 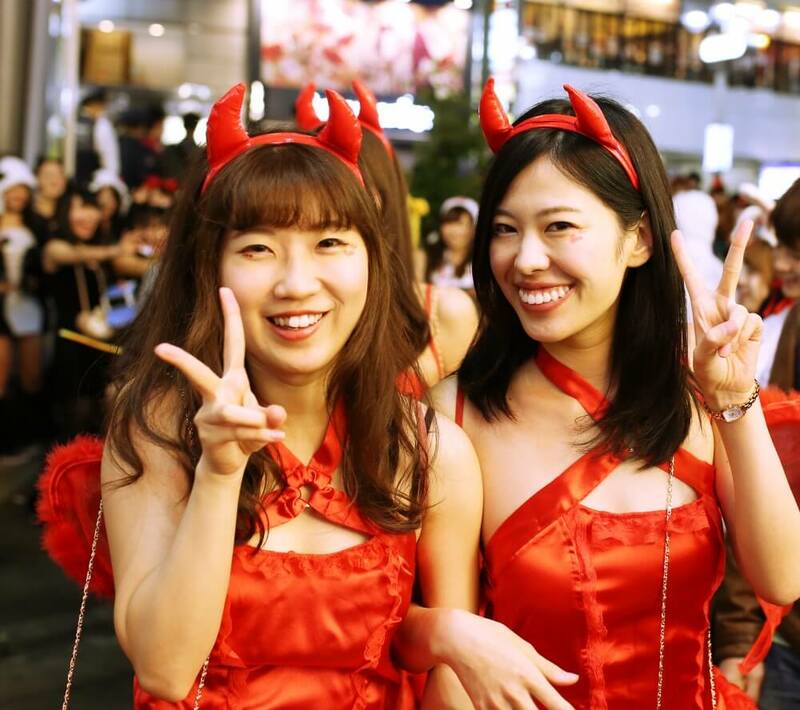 For example, if Halloween is on a Sunday or weekday, Shibuya Halloween would likely start getting going from Saturday night. Have a Happy Halloween — Tokyo Style! Interested in exploring the hidden side of Shibuya — Why not join our newest Shibuya Retro Food Tour?